Think tank for coaches, sport scientists, performance analysts and performance directors working in high-performance sport fields and research. In this episode Israel and myself had a pleasure to host a guest speaker - Mike Tuchscherer. I know Mike since around 2007. when he published his (still) outstanding book “Reactive Strength Training”, a book that was the first book to outline usable and concrete strategies of autoregulated training using RPE set ratings. Years passed by and Mike grew up to become one of the most knowledgeable powerlifting coaches in the world. We decided to have a Mike on the show due his recent articles on emerging strategies in planning and how personalities affect training programming (e.g. “The Big Five”). Besides that, we discussed numerous other topics, so if you are interested in strength training and training in general give this episode a listen. In this episode, myself and Israel continued discussion on “training individualization” that I have started with the recent screencast - “On Individualization”. Israel provided an interesting viewpoint from a scientific perspective, which is how “normalizing” groups is hard to do in practice (as I would like to call: “creating equal playing field”, which is the first step in training load individualization). My current viewpoint is that individualization is more than creating “equal playing field”, or making sure everyone is training at similar individual potential, but rather making sure one is doing what it takes to reach his full potential while avoiding the downsides. In Episode #4 of Training Chats with Israel and Mladen, we discussed the the concept of training transfer. That is, does practicing task 1 transfer to- and improve (or hinder) task 2? For example, will squatting transfer to and improve sprinting performance? We identified two “camps” of this approach: the first believes that strength training should be non-specific with the goal of improving underlining qualities, such as strength, which will then carry over to the the task it is expected to improve (e.g. sprinting). In Episode #3 of Training Chats with Israel and Mladen, we discuss the the concept of phase potentiation in periodization. That is, does sequencing periods that place greater emphasis on certain qualities (strength, speed, etc) in a particular order lead to better performance compared with different sequences and/or without a specific emphasis on a particular quality. This is an important topic as the core of periodization models lays within this concept. We also touched the problems with simplistic reasoning attempting to explain the positive effects commonly observed with resistance training. In Episode #2 of Training Chats with Israel and Mladen, we continued our discussion on evidence based practice. Israel covered some of the history behind the term and movement, and shared his thoughts as to how it can be used in our profession. We spoke about combining evidence from scientific literature, our expertise and experience, current context and athlete preferences to make the best (or least worst) decisions with our clients. Mladen spoke about decision making in uncertainty, different branches of rationality (bounded and unbounded) and how one can use heuristics and ‘barbell strategy’ to make decisions in uncertain conditions. Israel Halperin and myself are starting a new series of podcasts covering coaching, training, and sport science while emphasizing the complexity and uncertainty involved in the exercise professions. We plan on publishing 30-40 min episodes every two weeks on various topics and hopefully host different experts and coaches. In today’s episode we covered the idea behind the project and free flowed a bit. We also covered Israel’s background, how he plans his Muay Thai sessions (from uncertainty perspective), and began discussing the possible problems associated with placing too much confidence in scientific outputs. We agreed that the focus of the next episode will deal with Evidence-Based Practice. Stay tuned. IT IS FINALLY HERE – The Shuttle Run Beep Test with COD (changes of direction) corrections! It means that the score (MAS, or maximum aerobic speed) reached in the COD corrected beep test can now be used in both long distance and shuttle based conditioning. The shuttle run beep tests so far didn’t implement corrections for CODs, and have used exact beeps from straight line version of the test (UMTT or VamEval), which resulted in lower MAS score. In episode eleven of Complementary Training Podcast I am talking to Israel Halperin. Israel is a PhD candidate and Muay Thai coach from Tel-Aviv, Israel, who I’ve met in Canberra while he was with Australian Institute of Sport. Israel is someone with the skin in the game, to paraphrase Nassim Taleb. Someone who has walked the walk as a Muay Thai fighter, and continues to do so by training competitive athletes in Muay Thai and Boxing, as well as doing his PhD. Hence, he is the guy who can talk two languages – coach language and researcher language. I believe his is a true gem in this field. In the following episode, we have discussed numerous topics, ranging from agile periodization, confounders in training research, dealing with uncertainty and many others. The format was more of a casual chat of two friends, which we are, rather than an interview. I am pretty sure it will make you think. 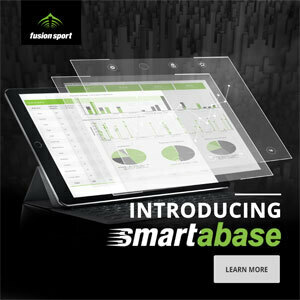 Before we switch to the chat with Israel, I want to thank our sponsor Smartabase for making this episode possible. Enjoy the listening. You can reach Israel through his twitter @Israel_Halperin and through his Research Gate. In episode ten of Complementary Training Podcast I am talking to Sam Robertson. Sam is Senior Research Fellow at Western Bulldogs (AFL) & Victoria University. We touched about the role of machine learning/predictive analytics in sports (especially injury prediction), “novel” techniques, and how to establish data/sport science department. Sam is a true leader in the field and someone that has the “skin in the game”– working in a high profile AFL club as data scientist. So I highly recommend listening to this podcast if the topic of data science and data driven decision making is of your interest. In episode nine of Complementary Training Podcast I am talking to John Kiely. John is mostly famous for his critiques of periodization (which are a must read papers), so I used this opportunity to expand on that particular topic. Periodization, Planning, Prediction: And why the future ain't what it used to be! We have covered a lot of ground in this podcast! If there are any topics you want John to cover in more detail, let us know and we will expand on it. He can be reached via his Twitter @simplysportssci. I highly recommend following John if you are interested in up-to-date sport science information.